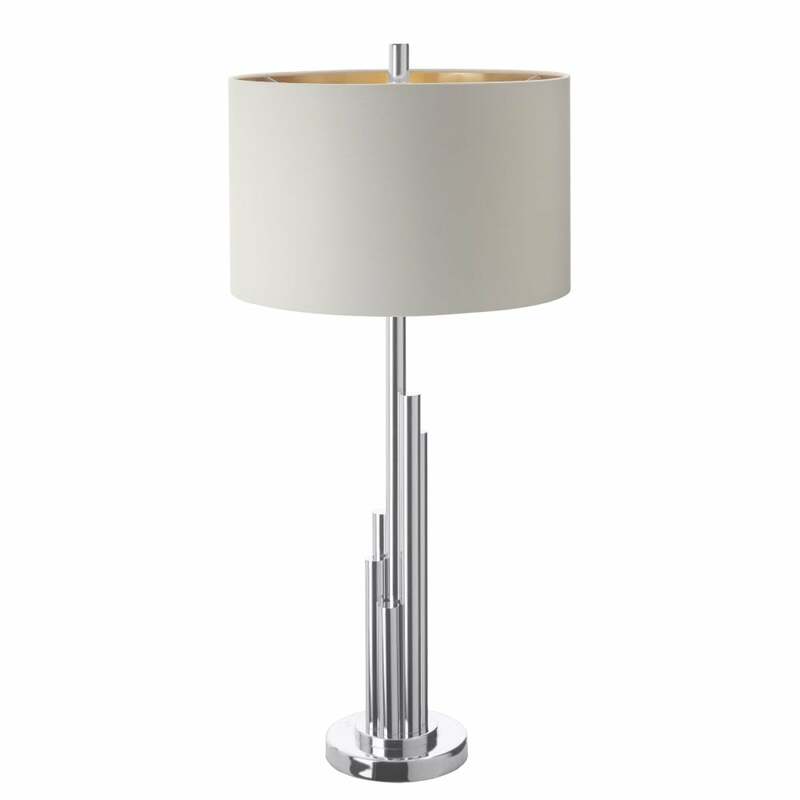 Embrace luxury style with the Juke table lamp from RV Astley. The glistening nickel base provides an eye-catching focal point within any interior. Tapered rods extend upwards in varying heights for a multi-dimensional skyscraper silhouette effect. A gorgeous classic drum shade complements the graphic appeal of the modular base. The combination of neutral mixed materials creates a contemporary cool look which would be at home in a variety of interiors. Combine as a pair of lamps within the bedroom for a luxury finish. Style in the living room alongside greys and silver for a calming, neutral ambience.